Leica’s tradition of excellence in Sports Optics began 111 years ago with the development of the first pair of binoculars. To mark this milestone in the history of Leica, the company has joined forces with expert leather maker, Hermès, to create a new limited edition pair of the Ultravid binoculars. Fittingly, an exclusive 111 pairs of two versions of the Leica Ultravid binoculars will be available from selected Leica Stores around the world from January 2016. Precision, craftsmanship and tradition are the essential core values of both Leica and Hermès and together they have created an exceptional, unique version of these binoculars to celebrate Leica’s anniversary. The two versions – the Leica Ultravid 8x32 HD Plus “Edition Hermès” and the Leica Ultravid 10x32 HD Plus “Edition Hermès” - pay homage to the tradition of Leica Sport Optics, combining traditional, vintage style eyecups with modern, state-of-the-art technology. In addition to its own unique serial number, each pair of binoculars also bears one of a series of consecutive limited-edition numbers, making it a truly singular product. 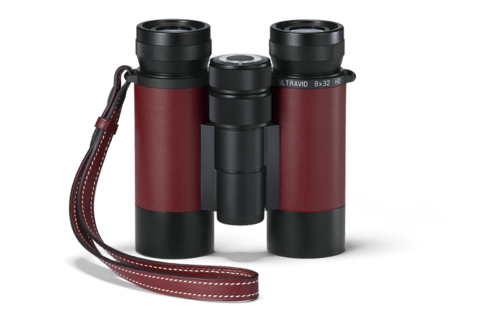 One of the highlights of these black anodised binoculars is their Hermès swift calfskin leather casing in the illustrious ‘Rouge H’. 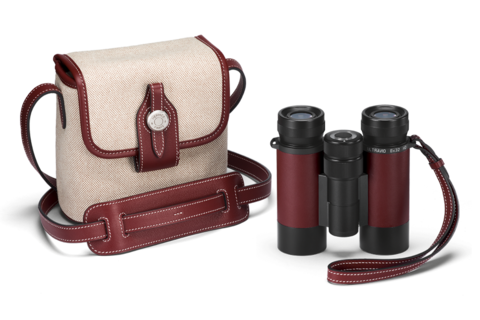 This extremely fine and supple leather is used not only on the body of the binoculars, but also for the shoulder strap included in the set. Each pair also comes with an exclusive handcrafted swift calfskin leather and canvas Hermès bag. 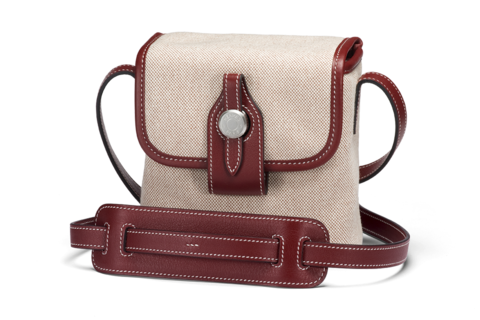 In the past, the two companies have collaborated to develop special editions of the Leica M-System: the Leica MP “Edition Hermès” (2003), the Leica M7 “Edition Hermès” (2009) and the Leica M9-P “Edition Hermès” (2012). Cyril Thomas, Global Director of Leica Sport Optics comments on the collaboration: ‘In the Leica Ultravid “Edition Hermès”, a tour de force of optical precision meets unparalleled craftsmanship. We are particularly pleased to see the continuation of the long-standing collaboration between Leica and Hermès in the creation of this special edition of Leica binoculars with an exclusive bag from Hermès included in the set’. The limited numbers, unique product design and premium finishing make this a truly special edition in every respect.